Halo is coming to Steam—here we've collected everything we know so far. After years in the wilderness, Halo: The Master Chief Collection will bring Halo Reach, Halo: Combat Evolved Anniversary, Halo 2: Anniversary, Halo 3: ODST (minus the Firefight mode), Halo 3 and Halo 4 to PC. The only previous games in the FPS to launch on PC were Halo and Halo 2—both well over a decade ago (if you don't count the Halo Wars spin-offs). This is obviously a big moment, and it seems like Microsoft is making some good decisions in bringing them to PC: namely launching them on Steam, rather than trapping them on the Microsoft Store (though you can buy it there too). There's much more to go into below, too. The PC version is being worked on by Halo stewards 343 Industries, Ruffian Games and Splash Damage. In total, the Master Chief Collection will entail over 120 multiplayer maps and 67 campaign missions—which should be enough to keep you occupied for a while. The idea is to "evolve and grow" the collection over time with community input, so it's likely we'll see more features added to each game after launch. Here's everything we know so far about the Halo: Master Chief Collection on PC. The Master Chief Collection will be sold on PC as individual titles, and then they'll be sold as a package when they're all released. 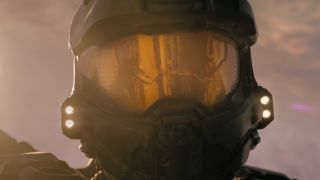 The Halo games will be released in chronological order on PC, according to the series' lore. The order is as follows, then: Reach, Combat Evolved, 2, 3, ODST, and 4. Co-developer Splash Damage suggested in its newsletter—captured by Resetera—that all the games will arrive on PC before the year's end. "The cat is out of the bag. We're incredibly proud to be working closely with Microsoft once more, this time on bringing Halo: The Master Chief Collection to PC," it says. "Halo: Reach is coming first, with the rest of the titles scheduled throughout the year." 343's community director Brian Jarrard was quick to add caution to that possibility, however. "Reach will be the first title out of the gate and while I'm not at liberty to give you hard details yet, I think it's safe to say that flighting will be kicking off sooner than people probably expect," he said, which bodes well." "Remember, the outcomes of public flighting will play a large part in driving the retail release. If things are going great, it'll be swift. If we encounter unforeseen issues then we'll have to spend more time." The first public flighting—previously described as "public testing of updates and patches during development"—for Halo Reach specifically is being targeted for April. The plan to start flighting in April for both PC and Xbox One was then confirmed by 343 Industries—and they explained how to be part of it here. Let's get the important stuff out of the way: 4K resolutions, HDR, and mouse and keyboard support have been promised as the standard for this collection, with each mentioned in the Steam listing. 343 says providing great mouse and keyboard controls is a "top priority", and that they're aiming for a "balanced, fun experience for PC." Also in the works: support is planned for 16:9, 21:9, 16:10, 3:2, and 4:3 display modes, as well as 144hz displays (the plan is to support uncapped framerates—but it's been cautioned that this depends on what's feasible for the game in question). FOV sliders are also planned, though functionality could vary based on the game. Split-screen co-op, a staple of the Halo series, seems less certain on PC. When asked about it during a Reddit AMA, Jarrard had this to say. "This one is tricky and the team is still looking at what can be supported." Halo Reach will not launch with its Theater and Forge elements—expect these down the line when Halo 3 and 4 are being tackled. "From a development perspective, it makes more sense for the team to tackle Reach's Forge/Theater a little later in the roadmap at the same time as Halo 3 and Halo 4 work." You'll need a Microsoft account to play the collection on Steam—but not Xbox Live Gold. Progression will carry across between the Xbox One and PC versions of the Master Chief Collection, in case you've somehow ended up with the former under your TV. The game will be compatible with Windows 7 and 10. Windows 8 is "being investigated". Halo on PC will a support custom games browser. The plan is to get some of Halo: CE's user-generated content into the Master Chief Collection, too. "We are always investigating ways to bring the wealth of Halo user created content to a larger audience for everyone to enjoy. Halo Custom Edition content is definitely on our list and is actively being explored." "We are working closely with the members of the modding community (including some friends on the ElDewrito team) to explore our options for official' mod support, but we won't have this at launch," Jarrard said in that same AMA. "Our #1 priority for launch is ensuring we get each of these core games "right" for PC and security/anti-cheat is a big focus." But hey, they seem to understand it's important to PC players. There are still no plans to bring Halo 5, the sole Xbox One entry to date, to PC. It wasn't part of the Master Chief Collection to begin with, so that's no huge surprise. Hopefully if these entries take off on PC, the outlier will follow. But hey: six games is a hell of a start. It's worth saying that Halo 5's Forge Bundle remains free to download on the Windows Store. Halo on PC. Hell yes.